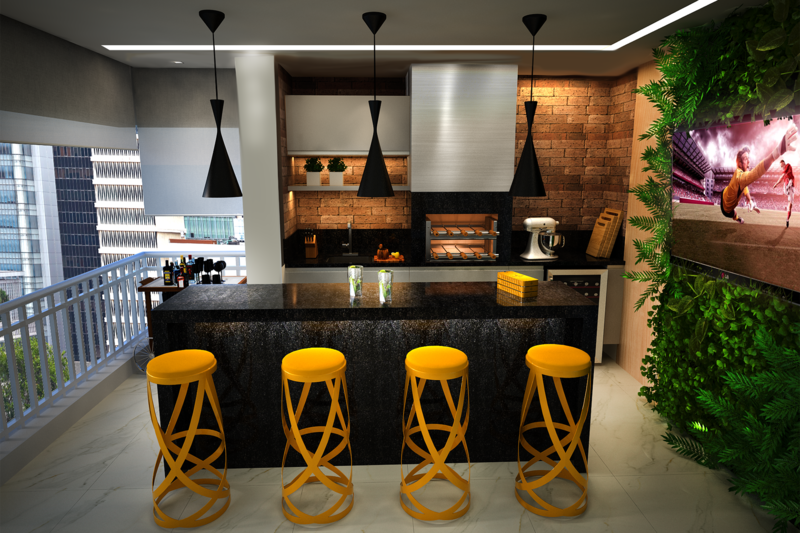 This 240m² (2583ft²) apartment located in Perdizes neighborhood has a living wall and a modern counter that are the highlight features of its spacious, beautiful balcony. More than a common area it is an invitation to celebrate. 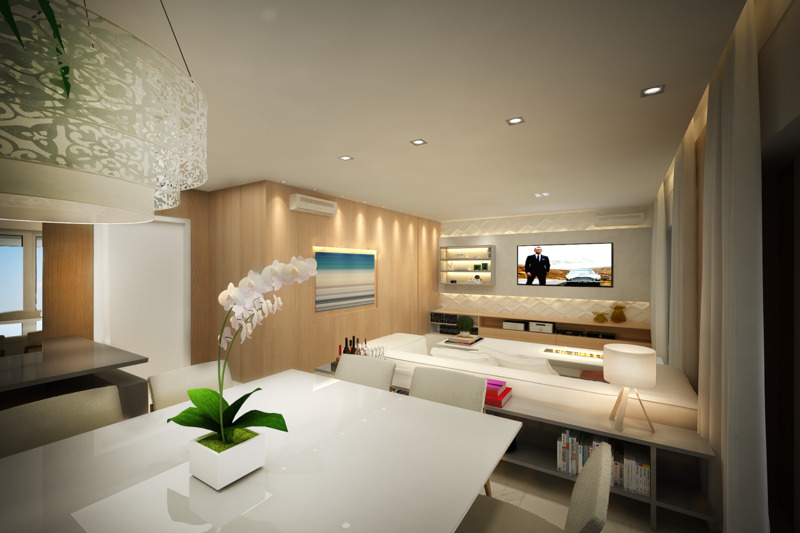 The living room wood paneling hides the doors and brings harmony to the environment. 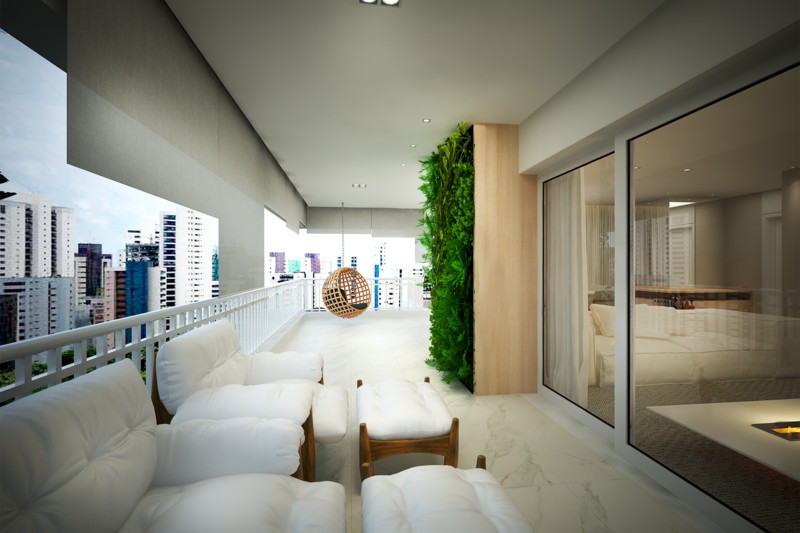 The balcony that covers a wide area has armchairs in neutral color tones composing the project’s conspicuous atmosphere.